Last minute tips! The #atozchallenge is almost here! We are just days before the Challenge begins. I hope everyone is feeling pretty good at this point and is ready to go! Here are a few tips, in no particular order! **SELL YOUR BLOG POST! Funny or serious. Intriguing or cryptic. Tell us something to make us click on your link! A to Z Theme: Zombies and the people that love them. Letter D: Decay. It was bound to happen. How to remove those pesky stains. ** While you're searching through the participants comments, you can either right click on a link to open in a new tab, or highlight/right click to open in a new tab. Either way, open links in a new tab so you don't lose the main page you're working on. ** You don't have to post a 'clickable link' in the comments. You can copy/paste a link in the comments. Either way, just make sure its to your individual letter blog post and not to your main blog page. ** If you like the post you're reading on someone's blog, SHARE it with the world. ** Readers may want to SHARE your post with the world. Make it easy for them. Do you have social media links on your blog for them to use? 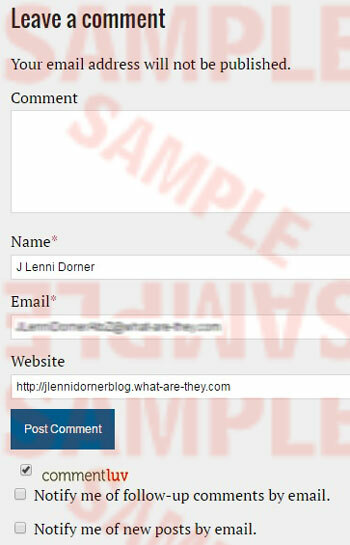 **Make it easy for readers to leave comments on your blog. Turn off everything that might hamper them for April! ** On the Main Challenge blog, double check where you're posting your letter blog post. (You don't want to place it/reply under another participants comment). You might recall last year that I wrote a post on this blog that talked about using IFTTT to simulcast a Wordpress blog onto a Blogger blog. Several of you asked if it were possible to go in the opposite direction, i.e. post to Wordpress whenever you post to Blogger. Of course it is, and Janet over at Janet's Smiles is doing that now. We had discussed the possibility of doing that with this blog, and at the time decided no, there was already too much confusion, and we were already throwing too much new stuff at you as it was. We rethought this when we started getting messages that Wordpress people were having trouble posting comments to this blog, most recently from Linda over at Life In Progress, who asked "is there any chance you could get a WordPress blog up and running simultaneously?" 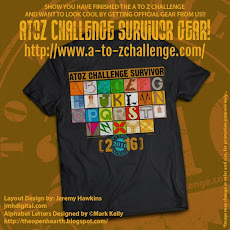 http://www.a-to-zchallenge.com is and will remain the official blog for the A to Z Challenge. We have only established the Wordpress simulcast blog as a way for you to post comments if you can't post them to the official one. All that will be on the Wordpress blog will be duplicates of the posts on the official blog. You won't have to do any fancy coding to leave the URL of your posts in the comments on the Wordpress site. Simply paste the URL into the comment, and Wordpress will make it clickable. In an upcoming post, I'll address the issue of leaving comments on both platforms. Testing new functionality. More to follow. Stay tuned! 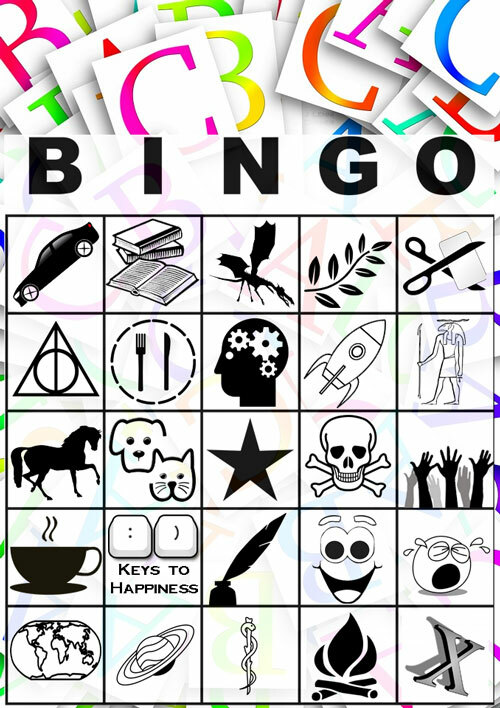 What is this Bingo card of 24 items and a free space all about? It's a fun game to play during the A to Z challenge 2017! As you're hopping around, reading and commenting on the many blogs, keep this game card nearby. Save the links of the posts that fill your BINGO card. Your goal is to cover five squares in a vertical, horizontal, or diagonal row. Or, better still, cover all the squares! The center (marked by a star) is a freebie space. Call out "#AtoZBingo" on Twitter/ Facebook when you get Bingo. If you take part, include your BINGO RESULTS in your 2017 A to Z reflection post in May. Let everyone know then which links covered your card. A post that mentions a car, truck, or motorcycle. A post that mentions a book you've read and reviewed. A post about an animal you've never learned about before. A post with an image of something green. A post that inspired you to make something. A post about something in your fandom. A post with a recipe you tried. A post where you learned something new. A post that mentions outer space. A post that mentions ancient times. A post that mentions a horse. A post with an image of a dog or cat. A post with something you're allergic to. A post with a pun. A post with a poem. A post that made you laugh. A post that made you cry. A post about a place you've been. A post about a place you will probably never see. A post that improved your health (or offered a way for you to try to). A post with a story you can tell around the campfire. A post with three or more different words that begin with X. Based just on the signature, you now know five facts about me. You know I go by the name J. You know what I do for a living. This too might spark a conversation. You know how to reach me because you have a link to my blog. Now I’m not just another commenter. I’m the writer who interviews debut authors and volunteers for the blogging challenge we’re both into. Your comment (when it’s meaningful, adds to the conversation, is thought provoking, or is funny) is your first opportunity to be memorable. Your signature is the second. The purpose of the challenge is not only to promote your blog, but also to increase your social network. Someone who leaves a link in their signature is someone who is ready to communicate and engage. It’s easier to find someone who left an engaging comment or thought provoking question if the person dropped a breadcrumb trail. There isn’t always time to do a websearch for people. A hyperlinked signature is a calling card or business card in the blogging world. A hyperlinked signature is an invitation to form a relationship. This is why it’s a good way to concluded your comment. What about comment boxes with a separate area for links? In this case, leaving your link there instead of in the comment itself is acceptable. Cultivate relationships online by including a signature with brief details about yourself and a link to you following your meaningful, valuable comment. Plant the seed of social networking growth by including your hyperlinked signature. Judging by the Theme Reveal test run it seems a good many of you had no problem working without a list. After all, it's nothing like walking a high wire without a net. No list ain't gonna kill ya! And, by golly, the Theme Reveal proved that! I can't say for sure because I didn't count, but by all estimations it appears that well over 200 bloggers participated in the Theme Reveal event as of my writing of this post on Tuesday afternoon where I am in Pacific Daylight Time. And that count is just estimated from the comments on this blog. There were also theme reveal links left on other social media outlets. I'm not sure how this all measures up to the over 500 links that typically appeared on the Linky sign ups from previous years, but one good thing is that everybody who did leave a link left a link to a blog that was actually participating. So in my view that's not too bad. I'd call the Theme Reveal a success and an good indicator that those participating in A to Z 2017 will catch on just fine. 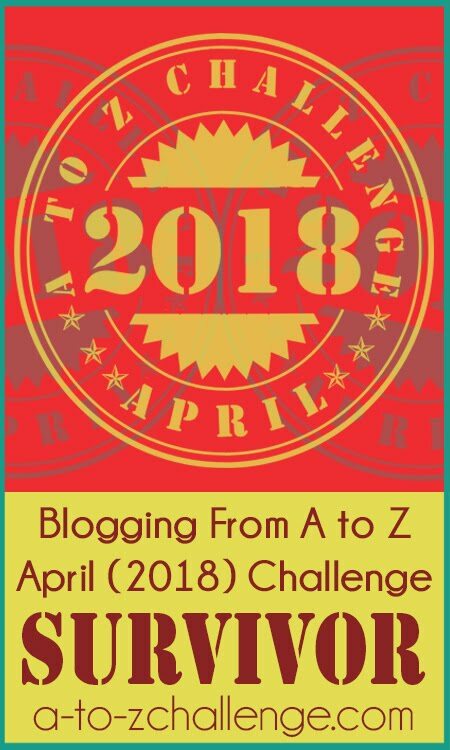 However if there is still trepidation with any of you about participating in the upcoming A to Z Blogging Challenge without a list, never fear for I am here with some consolation and a few hopefully helpful suggestions. Actually there are many lists available to you if you aren't on the social media platforms like Twitter or Facebook. Those platforms will provide all the links most of us can handle in a day's time, but some of you just don't like to be on any sites like that and I can't say that I blame you for feeling that way. However, there are many other ways to find A to Z Challenge participants. You can find a lot of A to Z participants by going to some of the blogs of other participants you already know and going through their comment sections and visiting the blogs of those who commented. This is a way to meet other bloggers with similar interests even if you aren't doing A to Z. A well frequented comment section can keep a person busy for a good while. You might not always find A to Z participants, but you might make some other new blogger friends. Look for other bloggers who have set up their own lists. The blog community site Blog Chatter has a list of bloggers who are participating. Other bloggers might have compiled similar lists on sidebars or on special pages--keep your eyes open for these (if you have one on your own blog you can leave a comment below with your link). I've started one on my own site and intend to continue adding more blog links as I blog through April. My link list can be found at Tossing It Out. I doubt whether I'll be able to keep it loaded with every participating blogger, but this is my experiment. Maybe you'll want to try compiling your own list. Use a blog reader app such as Feedly. This is something I've never gotten the hang of using, but I know many of you probably already use this method. I sometimes used to use the reader Blogger had on its site and found it to be helpful when I remembered to use it. Maybe some of you more adept at using readers can offer some more help in the comments. Even with the Linky List we sometimes had to weed through blogs we didn't want to read or that weren't participating or had fallen behind. Successful blogging does sometimes require doing some of your own work. 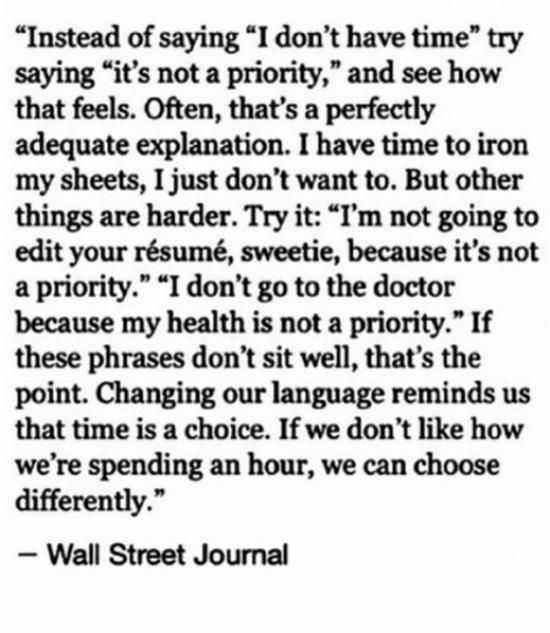 Not all of you have that much time to spend on blogging so I understand the desire for shortcuts. The fact remains that effective blogging requires effort. If you've ever wondered why you don't get many comments or it doesn't seem like you get many blog visitors, it's mainly because you aren't promoting your blog enough and not visiting other bloggers like you need to in order to get reciprocated visits to your own site. 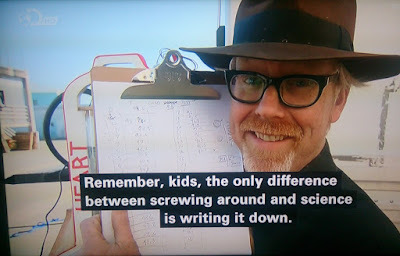 I learned this early on in blogging. In fact that's why A to Z began and that's how I made it grow. 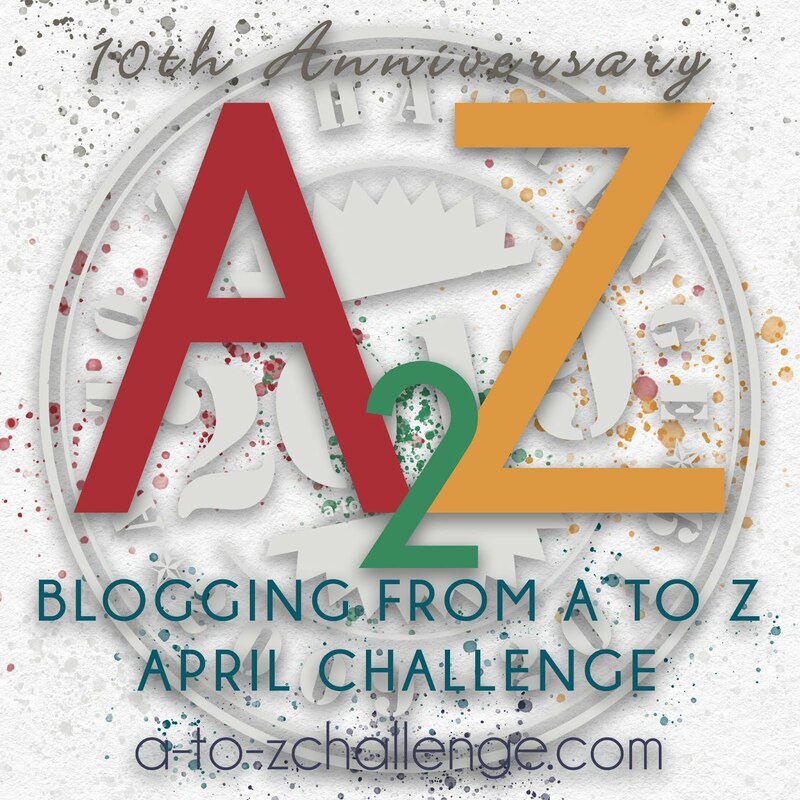 As Alex J Cavanaugh stated in an earlier post on the A to Z Blog, when I started the very first A to Z Challenge in 2010 there was no Linky List. I created a sidebar list using some of the methods I've outlined above. This required work on my part, but it was worthwhile. Just look where we are now. You think Blogging from A to Z in April is too difficult? Well, it can be. But if you do it right, do it with a method to your madness, use practical approaches, and pay attention to what is going on, then you'll find that it might be easier than you thought and it can be actually fun. After all, I called A to Z a Challenge for good reason. My Challenge to myself was a way that I learned a great deal about blogging and networking. I extended that Challenge to others and they came and they too conquered that Challenge. You can do it too. If you're still concerned about not having that Linky list to lean on, then think again. The lists are there and if you don't like the lists you see then create your own. This is called customization. You decide what kind of list will suit your needs and then make your list out of the lists that exist. They exist everywhere if you look for them and you don't have to look that hard. This year's A to Z will work and it will work well. You might have to do it your way just the way I did it my way that very first year, but this is all a learning process. Blogging starts with expressing yourself. If you want to share what you've expressed then you will have to do some networking. A to Z is about networking. That's how it started and that's how it still is. Are you ready to network? Fine--follow the advice I've laid out in this post. And if none of this makes much sense to you and you'd still like to Blog from A to Z in April? That's fine too. Just blog like you always blog, but pay closer attention to what's going on with others and with the action on your own blog. This is all a learning process. But it's also fun. Don't worry. Don't stress. Just blog. Here is a list of the most common problems A to Z challenge participants encounter, along with suggestions of how to solve them. Write as many posts as possible ahead of time. Schedule your posts in advance. Using a theme helps focus ideas. Be sure you have A to Z posts up. 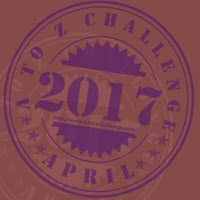 Include the #atozchallenge hashtag in your post titles and be sure to share your posts on social sites such as Twitter and Facebook. End each post by asking a simple, open-ended question. End posts by asking people to share them. Enable sharing links at the bottom of the posts. Come up with creative blog post titles that will make sense and intrigue people. 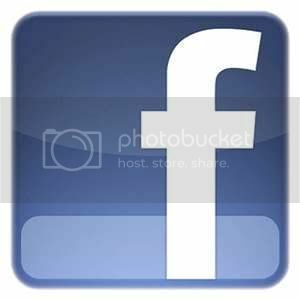 Share the posts of others. Be sure people can still get to your follow links when using a mobile device. End blog posts by asking people to please follow you. Follow back when someone comments that they are from the #AtoZChallenge and have followed you. Keep your posts and comments interesting, relevant, engaged, and friendly. 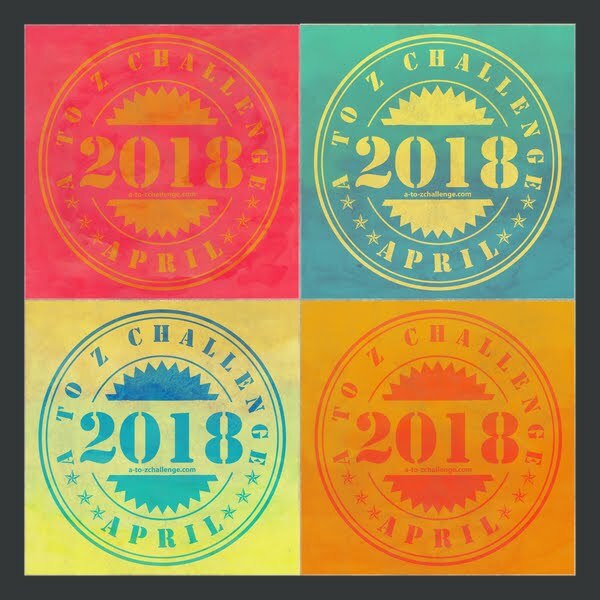 When I did my first Blogging from A to Z April Challenge in 2010 I had no idea that my simple stunt would still be going strong seven years later. At the time I was merely trying to gain attention to my few month old blog and acquire new followers. After my announcement on Saturday March 26th, 2010 of my intention to blog from A to Z starting the following Friday, there was an immediate response from my few readers that they'd be willing to join me for the month of blogging. In a matter of five days nearly one hundred bloggers from around the world had signed up to join me. Most of those lasted through that first month of A to Z. The success of that first April indicated to me that we had something with great potential on our hands. From the outset, one of my primary impressions was that the A to Z Challenge was to a great extent about marketing. I was trying to "sell" my blog to a wider audience in order to reach more readers. At the same time, I was building a community of other bloggers who desired a similar goal. The concept worked. I gained followers as did the other participants. But not only did we build that participant community, the event attracted an even larger number of observer readers, many who joined us for the event in subsequent years. A to Z was a blogging phenomenon with a generally favorable reputation. 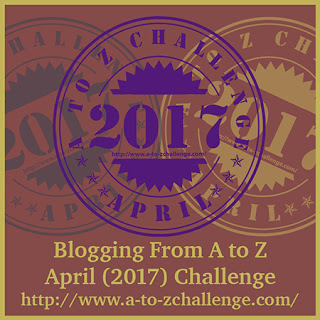 Looking at the A to Z Challenge from a writer's perspective, this April event can be a great tool as well as a learning experience. Marketing instills fear in the hearts of many writers or anyone else who relies on reaching out to the public. It's something most of us have to accept whether we are in business or merely trying to get others on board with whatever we might want to interest them in accepting from us. Marketing your own products is a necessity that doesn't have to be something to dread. Rather than a chore, make the marketing a fun challenge. If you can get your potential audience invested in what you are doing, you can get more publicity and more importantly, sales. Writing takes creativity, but so does fun marketing. The process of selling your story is a new story where you and your book are the main characters and the marketing plan is the plot. Believe in your writing enough so that others might be inspired to help you promote it. Successful marketing requires innovative strategic thinking. Using my own experience with the Blogging from A to Z April Challenge, you can find ideas that might assist you in developing your own personal brand and your marketing plan. 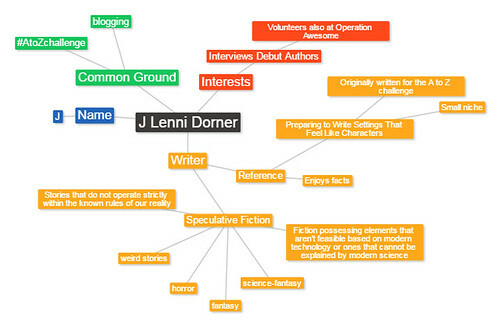 Many writers with blogs have used the Challenge as a way to promote themselves and their books. Maybe the results will seem inconsequential at first, but remember that the content on your blog becomes part of your résumé in a sense. A to Z builds content and helps develop writing skills. In the course of the many past Challenges, a number of books have actually been published based on the posts written in April. The April Challenge can be a boon to writers as well as others in many ways. 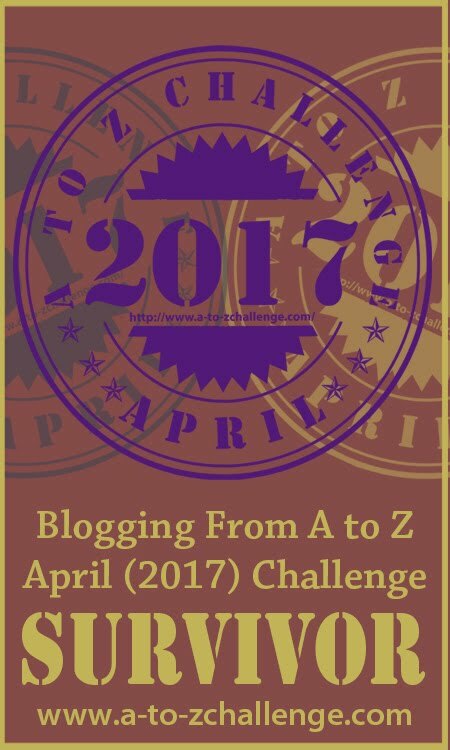 If you're a blogger and have never tried the A to Z Challenge, I encourage you to give it a shot in 2017. Participate well; finish strong and I can almost guarantee that you'll feel good about your achievement. But even better, you will accomplish a marketing feat for your blog that may make business marketing in general much easier and provide you new ways to look at marketing. You don't know until you try. Have you ever thought of the A to Z Challenge in terms of marketing? Have you yourself used the Challenge as a marketing tool for yourself? What ideas can you think of in order to use A to Z as a marketing tool? Read a post, then comment on the post. It seems simple to some people. Others feel differently. Here’s a list of misconceptions about commenting on a blog post. 1- I have to write a lot in order for it to be a good comment. Nope! Even just five kind words are worth leaving. Blog analytic programs count the number of comments or interactions each visitor leaves, not the number of characters in those comments. Leaving without a comment makes for a poor bounce rate and a negative social engagement. Meaningful, quality comments build relationships and are the ideal… but empty blogs with no comments are disheartening. Leaving comments — It's what bloggers do for each other. How important is it to you to be a valued member of the blogging community? You can achieve the goal of commenting on as many A to Z blogs as possible while leaving thoughts and questions based on the content of the post. You can communicate positively by trying to add to the idea and increase your social relationships by asking a question about the post. Bloggers depend on comments, so be supportive by taking time in April to leave as many as you can. 2- It’s rude to leave a link back to myself. Quite the opposite! Those who participate in a blog hop are looking to connect with others. A link makes that faster and easier. You can achieve the goal of connecting with other bloggers. This is a positive communication strategy and it will increase your social relationships with other A to Z bloggers. Be assured that a vast majority of A to Z bloggers expect a link-back, which is why there are instructional posts on hyperlinking a signature. 3- I might look foolish. Most other comment leavers don’t have time to troll to read what you wrote. The blog owner is grateful for the boost in the number of comments. It’s true that most everything online stays forever, but reread what you wrote and ask yourself if it’s really as bad as you think it is. If not, post it. If it is, then go back to just simple, polite, and kind words. Even a few smile emotes is better than nothing. If you are worried about your spelling and grammar, try the Grammarly extension in your browser. You can achieve the goal of coming across as a polite blog commenter capable of true interaction and thoughtful questions. You can figure out a positive way to communicate with simple, short comments. It is acceptable to come back to that blog on another day, as perhaps it will be easier to comment then. 4- I have to respond to every comment on my blog. This is a matter of personal preference. Regular readers might stop back to check if you have replied. Anyone who included an important question in a comment will probably come back to check if you replied. There are some comments that are just there because someone was being kind enough to say hello. Personally, I think the nicest reply to those is to click the link the person hopefully left and leave a return hello on their blog. You can achieve the goal of connecting with people who visited your blog. You can increase your social relationships by sorting through the comments you receive. Some people respond to comments imminently, some take a few days, some only write responses on Sunday, and others wait until the end of April to write replies. Consider this: Do you expect your comments to be replied to? If you wrote this comment, would you want a reply? At the very least, check your comment spam folder daily during the challenge. No one likes being stuck in comment moderation purgatory! I worry about this too. Captcha and the like are good ideas with poor implementation. If I can’t solve the image in three turns I give up commenting. Then I make fun of the captcha on my Pinterest board. You can achieve the goal of inspiring a better way to prevent spam without alienating real people. For example, some systems only have a box to check. You can communicate using humor to bond with others over this Internet creation. Robots might take over the world one day, but probably not in April 2017. Google and other search engines have built in calculators to help with the math captchas. 6- There is too much arguing in the other comments for my taste. That can be a tricky one. A desire not to attract the attention of an angry mob is a survival instinct. A simple “Dropping by from the A to Z Challenge,” and your name should be more than adequate as a comment. In this case, I might link back to the challenge page or the homepage of a search engine rather than my own blog (if a link is a required field). You can achieve the goal of leaving a comment without engaging in confrontation. You can communicate positively instead of joining the argument. You can maintain a positive and supportive status without engaging in conflict. You could also comment on an older blog post with less argumentative comments. There is a fine line between facts and opinions in some cases. Do you have something of value to add? Can you bring another perspective to the topic? Consider your own blog brand, and how you want to represent yourself, before submitting a comment. 7- I do not understand the post, and therefore feel unable to comment. I hear you. Sometimes it’s a translation problem, and sometimes the post is about a subject you have no knowledge or interest in. Once again, I’ll recommend a simple “Dropping by from the A to Z Challenge,” and your name as a comment. You can achieve the goal of being a nice person who is dedicated to leaving comments. You can deepen a social relationship by asking the blogger questions about the post. You could check the blog for a post that is clearer, easier to understand, and better to comment on. If it is a translation issue, perhaps try a different browser’s translation service. 8- I have to log in to something to comment, and then create a whole other account, and I just don’t want to. I do not feel bad not leaving a comment on blogs with such a system. There are ways to avoid that, as is evidenced by the overwhelming majority of blogs which allow comments without forcing someone to jump through a hoop. If the blogger has a Twitter link, I’ll usually go there and leave a tweet instead. Logging in to my own Wordpress, Google, Twitter, or Facebook account I accept. But creating an account just to comment on one blog… that’s something only extremely famous people might need. You can achieve the goal of encouraging bloggers to disable this by contacting them through other means. You can communicate on social media about a desire to have such functions removed. Time is valuable, so you be assured that you are not the only one skipping a blog for this reason. 9- The blog posts are all just shared reposts from other blogs. I do not know if I am meant to comment here or on the original post. As this practice grows in popularity, the amount of original content decreases. If the blogger had something fresh to add, then of course you should comment. If not, the original writer would probably appreciate you more. You can achieve the goal of keeping blogs fresh by commenting with a question about the poster’s take on this shared repost, or by thanking the person for including a new perspective. You can increase your social relationships by seeking out the original poster. The blogger felt this post was worthy of his or her blog’s precious space. You can try to figure out why the blogger felt someone else had such a value and generate a comment based on that. 10- If I comment on a blog, and then the person comments back, then I’m stuck commenting on their blog again. It’s too much! That’s how relationships form and grow. It’s a give and take process. Sometimes one blogger posts three times a day and the other blogger posts three times a month. That certainly makes it more difficult. 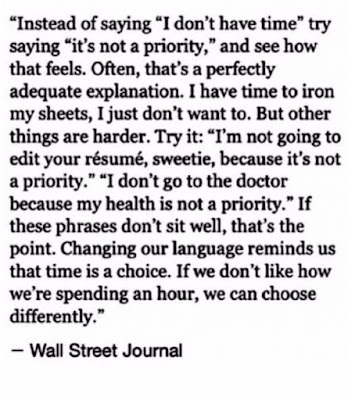 You have to find a balance. Figure out what works for you, your schedule, and your online-social-presence goals. You can achieve the goal of making new and lasting connections with other bloggers. You will only encounter this if you have communicated positively and thus increased your social relationships. You should take the time to build this into a positive and supportive relationship. You have been practicing! We put up a trial post yesterday so that people can experiment with posting their links in the comments, just as they will during the challenge - and everyone seems to be doing pretty great! Well, if you'd like some more practice - and also, if you are planning on doing a theme! - we are happy to inform you that even though we have no Linky this year, we do have a Theme Reveal! The date is March 20th (Monday), and there will be a Theme Reveal post up here on the main blog, so that you can link your own reveal posts in the comments. AND we have a badge for you to display in your post! You can see it below, or download it from here. We are looking forward to all your wonderful themes! Mark your calendars for March 20th! #atozchallenge - 'Practice Makes Perfect' posting day! Nothing like some hands-on, practical practice to work the kinks out of a new system, am I right? TODAY - In the comments, we want you to post a link to ANY blog post you want, new or old, just as long as its yours. Either copy/paste your URL or use John's instructions on how to create a clickable link...HERE. In the comments you can leave us your name, your blog name, what your blog post is about, and your link. Got questions, comments, or concerns? Feel free to share them as well.